Posted on April 5, 2018 at 5:18 am. Heat a cookie sheet in oven on broil. 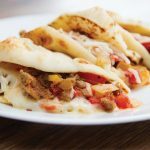 Place flat bread on sheet, flipping after 1 minute until warm. 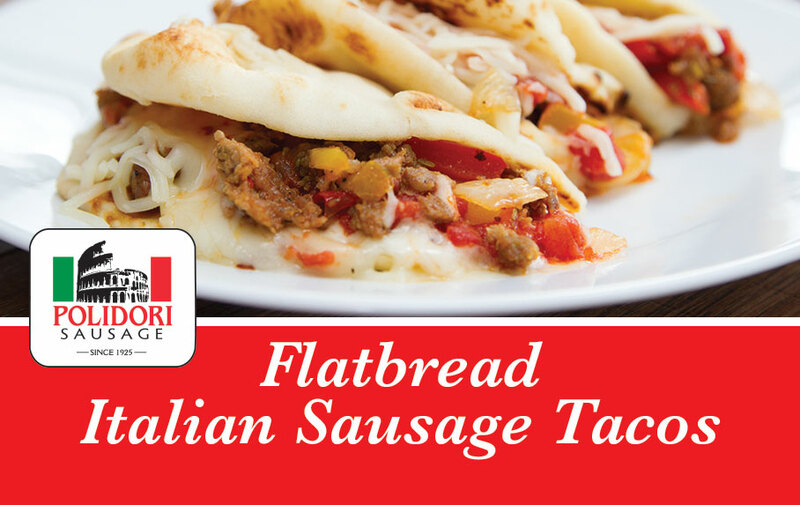 Place sausage and pepper mixture inside flatbread. Add mozzarella cheese, pizza seasoning, or your choice of flavor as desired. Enjoy!